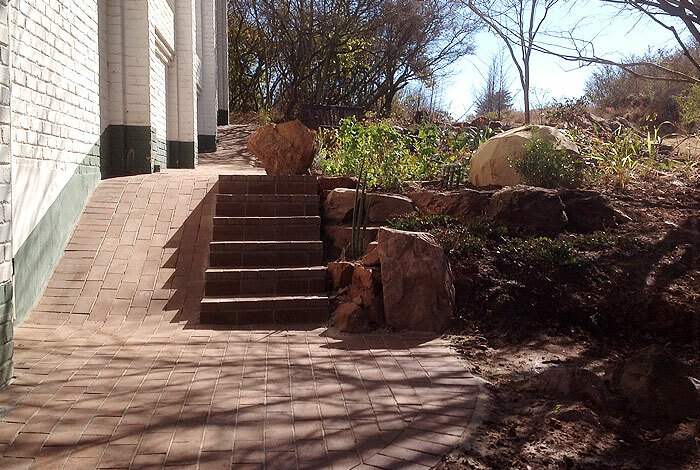 Paving for the WOW factor. 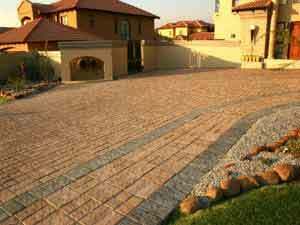 There are many reasons to pave areas around your house but not too many people try get the WOW factor into their paving. I think most people just want the practical use out of their paving and a lot of home owners simply want to eliminate the need to cut the lawn. The one thing that most home owners forget is that paving plays a big part in the overall appearance and acceptance of the property. The entertainment area is one area that is often carefully considered but often cost is a major factor so presentation is neglected. As a home owner you should look at each area and consider whether you would be interested in buying your own house based on the current paving. Once you look at your house this way you will then identify the areas that need attention with regards to paving. A good point to always remember is that grass and plants are always needed to enhance any paved area. When potential buyers approach your house, the first thing they see is your driveway. Then, in most cases the front garden is next and often both the garden and driveway are visible to these potential buyers without them exiting their car. 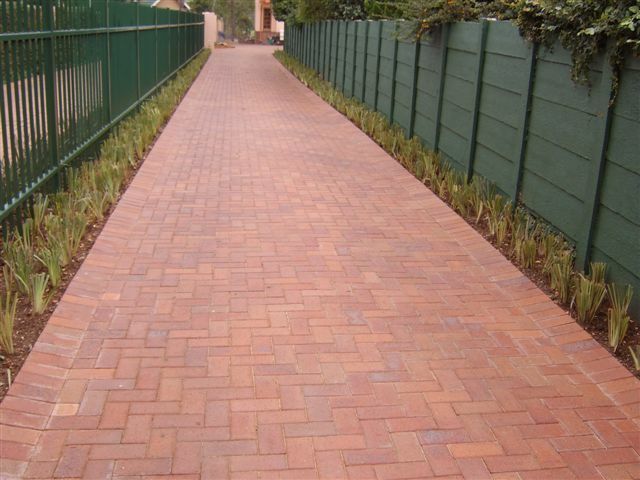 Does your existing paving invite or chase any potential buyer? Even if you are not considering selling at this moment in time, your paving could just give your house a valuation boost and a WOW factor to your investment. What good is it if your house has gold and diamond trimmings inside but your driveway discourages potential buyers from even coming inside to see your trimmings? Never underestimate the power of your paving and always get a professional paving company to give advice on your paving needs. A builder can give you the best house in the country but he will more often than not falter when it comes to paving selection and installation. You would never allow your dentist to perform surgery on your children and you should also not allow your builder to install your paving. Paving is a science and a major investment and should be handled by paving specialists. The one area around a house that really takes a pounding is the driveway paving. This often-neglected area is the first item seen by potential buyers when looking to buy a house. Driveway paving is not often seen to be deteriorating until it starts to fall apart and then it is a deterrent to any potential buyer. Paving is subliminal and either attracts or repels people from a house. There are certain bricks that are designed to enhance the appearance of any house plus many are designed to take the punishment that it needs to take. Then there are some very attractive bricks that are just not suited to being laid on a driveway. I always suggest people that are about to embark on driveway paving to call a couple of companies in to quote but ask each one for their preference and then ask the next company their thoughts on that suggested brick. You will soon know who is just out to get your order and who has your interest at heart. 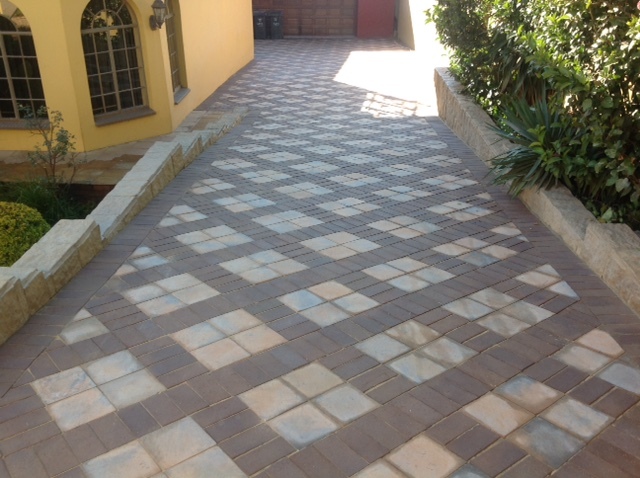 Infraset cobble paving with double border. My personal preference for driveway paving is clay. Clay is a natural product that expands when hot and contracts when cold. 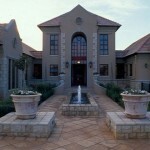 It has a very pleasing appearance when finished and will always increase the value of any house. Installation of clay pavers will mean that the installation company will use rubber expansion strips to ensure that the paving can breath. It is almost like you have a living breathing driveway with the potential to last for decades. 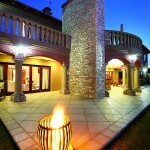 Designing the paving for your house can be very simple and at the same time very complex. Nothing is more bland or none appealing than paving that is laid everywhere with no natural grass or flower beds visible. If we remember that paving needs to increase the value of the house, paving then deserves more attention than just calling in a contractor and going with the cheapest quote. If we truly want to maximize our investment, it is always good advice to have a landscaper first lay out the garden areas and assist with the areas that should be paved. A word of warning, “ always call a paving company to do your paving, no matter who advises you otherwise.” Some landscapers have paving companies that they prefer to work with because of their history of working together while others will simply lay out the areas to be paved and then leave it up to the house owner to finalize the paving. Either way, you should give the paving style and the paving brick the same amount of consideration that you did with the entertainment area or the location of the pool. There are a lot of home owners that prefer to do their own landscaping ideas and that is great. There are plenty of ideas on the internet regarding how to landscape a garden and if you spend a little time you will save a lot of money getting to grips with the art of landscaping. But which ever way a person goes, remember that paving and gardening increase any investment if done correctly. I would again like to emphasize that you don’t have to install very expensive bricks to increase the return on investment, often a cheaper clay brick will enhance a property far more than an imitation rock made with cement/concrete. 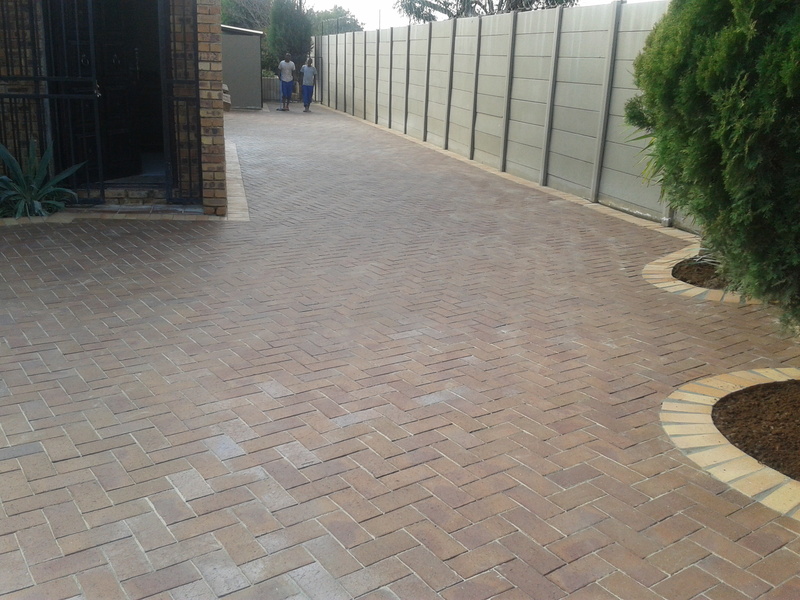 It is in most cases ethically better to keep with a similar type of brick on the driveway, pathways and pool areas as it comes across as “patchwork” when different types of paving stones/bricks are used at different areas. 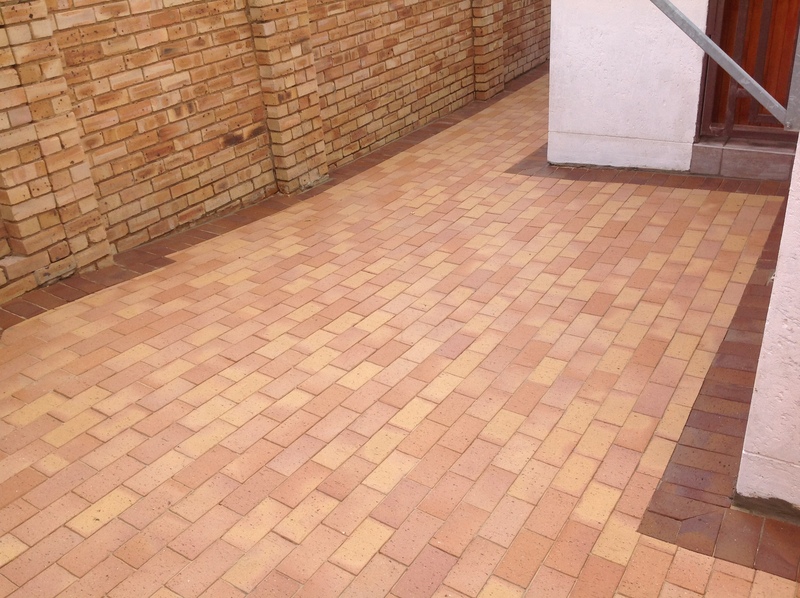 Even when the same colour is used on a different size or different shape bricks at different areas, the impression is often still one of patchwork. 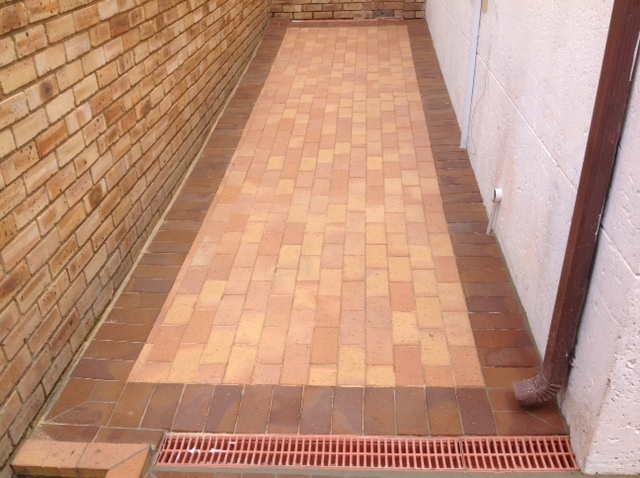 Not that different bricks cannot be used at different places, just ask for samples or pictures where similar paving was laid to get a better picture of how the end product will look. 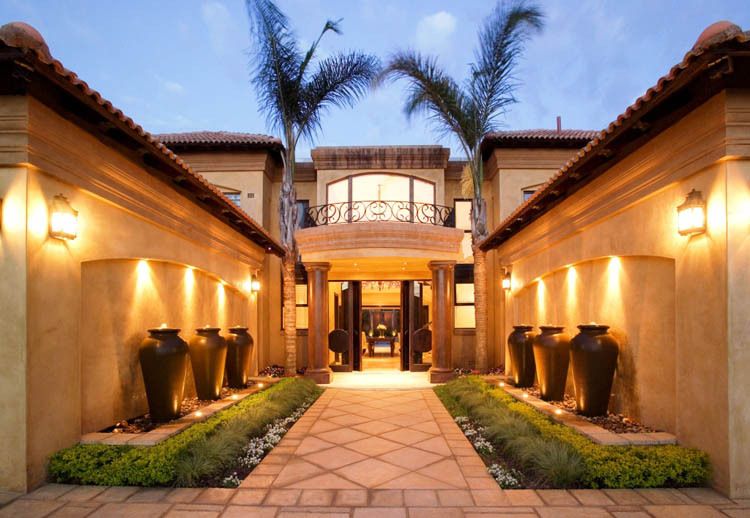 Paving is the first thing you see when arriving home and the last item you see when leaving, so designing the paving should and does deserve professional assistance to ensure that it becomes a return on investment and not a costly mistake. There are many types of paving bricks that fit into most budgets, so don’t think that calling in a professional paving company/person is going to be costly, it could save you a bundle of money and give you the look and feel that your house deserves.